Lauren Beukes is a writer, TV scriptwriter, and recovering journalist. She has an MA in Creative Writing, but she got her real education in ten years of freelance journalism, learning really useful skills like how to pole-dance and make traditional sorghum beer. Learn more at Lauren Beukes’ website. CLICK HERE FOR MORE STORIES BY LAUREN BEUKES. Every once in a while a novel comes along that’s touted as new, exciting, daring, meaningful, poignant, fresh, full of big ideas, etc. 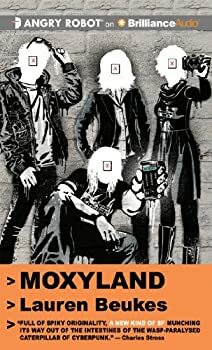 That’s what I’ve heard, so that’s what I was expecting and hoping for in Lauren Beukes’ novel Moxyland — especially since it has a nice blurb from William Gibson and has been compared to Neuromancer. 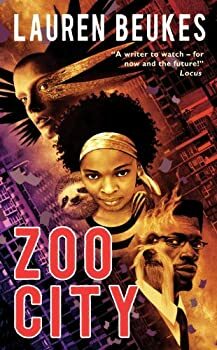 The main character of Lauren Beukes’s Zoo City is a former freelance journalist named Zinzi December. Zinzi is cool, intelligent and carries some big mental baggage. Despite her flaws, you will love her almost immediately. Zinzi lives in Zoo City, which is essentially a slum in Johannesburg for people who have been burdened with animals. In the world of Zoo City, people are magically attached to animals after they’ve done something particularly awful. People with animals are the outcasts of society, and the more conspicuous the animal the harder it is to lead a normal life. Zinzi carries a sloth, which isn’t the easiest critter to conceal. A serial killer is at a serious advantage when they can jump through time at will, as Harper Curtis of Lauren Beukes’ The Shining Girls can. This does not bode well for Kirby Mazrachi, intended victim of said serial killer who should’ve died after Harper sliced open her stomach and slit her throat. But Kirby miraculously survived the attack and is determined to find the man that derailed her life. 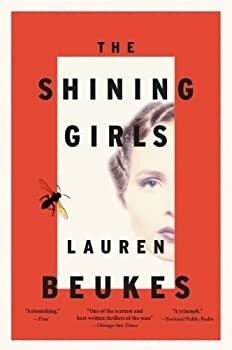 South African writer Lauren Beukes had a hit with last year’s The Shining Girls, the story of a serial killer who could travel through time. 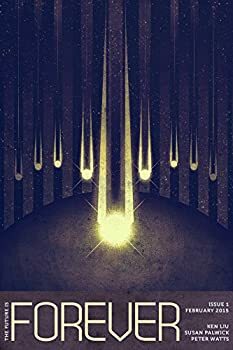 Readers of both time travel novels and serial killer thrillers loved the way Beukes melded the two genres. Beukes has again given us a genre-bender with Broken Monsters. 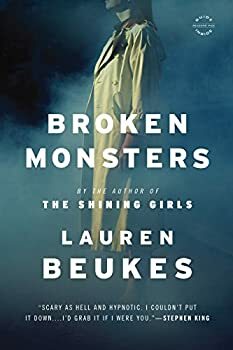 Both a horror novel and a police procedural, Broken Monsters is even better than The Shining Girls.